For this mortal must put on immortality. O’er his low bed may weep. 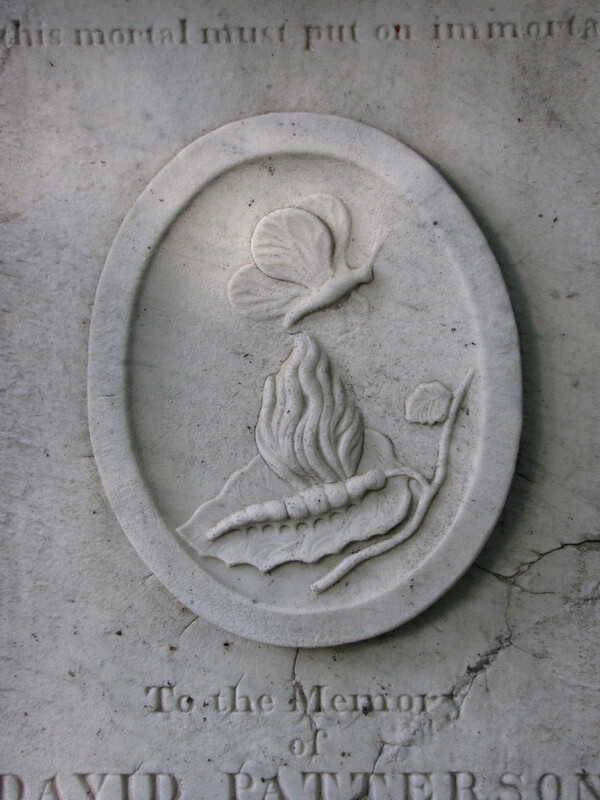 Like many symbols found in gravestone art, the butterfly has more than one meaning. The butterfly emerging out of the chrysalis represents the flight of the soul from the body. The metamorphosis of the butterfly, the change from caterpillar to chrysalis to butterfly, also represents the life, death, and resurrection of Jesus Christ. First, I thought the Captain Krunch video was part of your entry…I thought you were surely getting hi-tech in your blogs…then I realized it was an ad….with Bert Reynolds no less…. 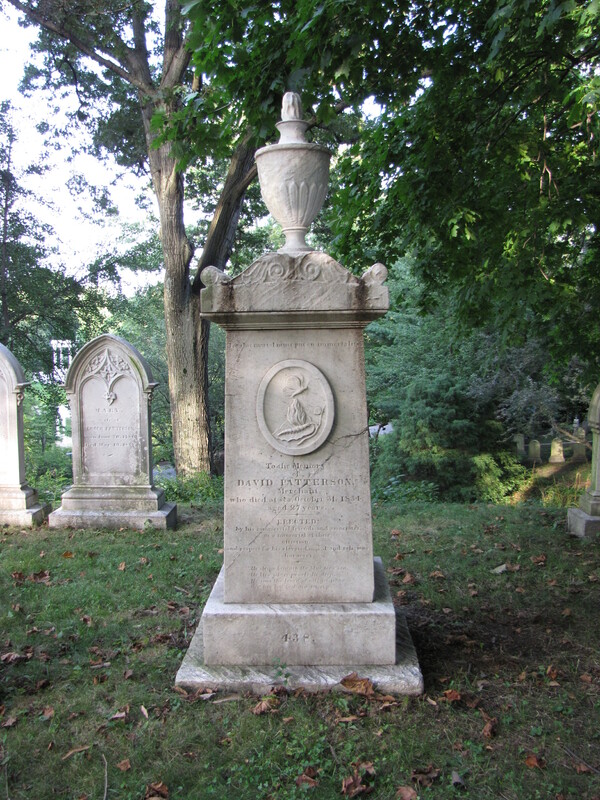 Observation about the tombstone: isn’t it amazing that at 27 this guy had already made such an impression that his “commercial friends and associates” that they got together to pay for such an expensive monument?